Manure is unloaded before being processed and turned into biogas on recently at the Heartland Biogas facility near Kersey. 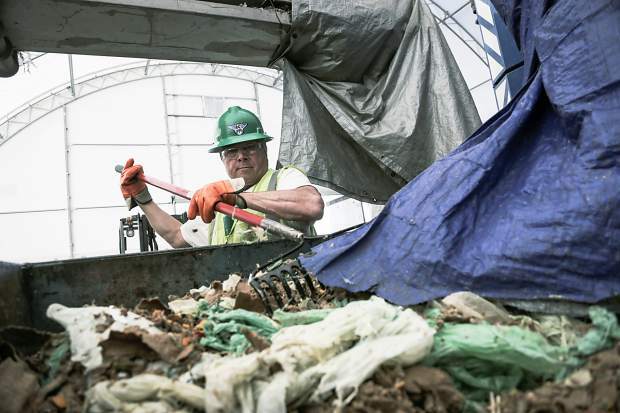 Mike Vidales filters through excess material recently at A1 Organics on Weld County Road 49 near Kersey. Trucks sit outside A1 Organic's facilities on on Weld County Road 49 near Kersey. Mike Vidales stands as organic material is transported at A1 organics recently near Kersey. 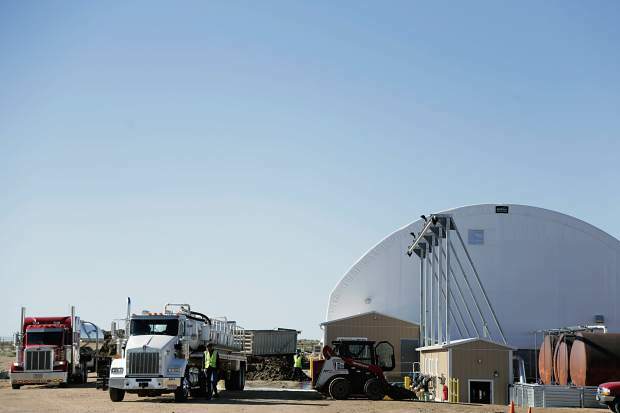 Motorists passing by the series of six domed-top tanks and various outbuildings tucked between two dairy farms near LaSalle might dismiss the development as yet another of rural Weld County's many oil facilities. 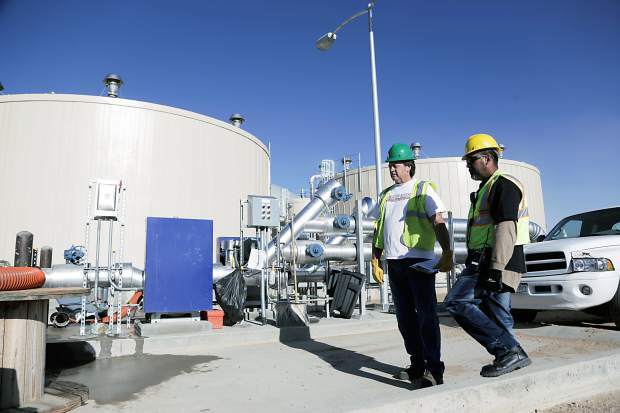 But what those drivers don't see is an innovative addition to Weld County's rapidly growing portfolio of renewable energy enterprises. Every day at the Weld County Road 49 location, trucks haul unwanted food, scraps and grease from area restaurants, meat-packing houses, schools, a cheese factory and grocery stores to the site. Tons of food waste once bound for the landfill are separated from packaging in A1 Organics' Digester Processing System to create feedstock for the digester. Bob Yost, vice president and chief technical officer of A1 Organics, said of the food diversion, "It makes economic sense, and it's responsible management of waste." And capturing methane gas from the manure, which is considered the leading source of agriculture's greenhouse gas emissions, is an environmentally responsible approach. "Every ounce of manure that we can take that reduces the methane is a good thing," he said. Yost, who described the anaerobic digester as operating much like a "stomach," added the Heartland project has an appetite for even more food waste. 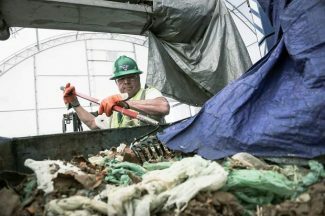 The key is educating more businesses and entities about their recyclable options. "Sustainable is do-able. … A huge key to sustainability is generator responsibility," Yost said. "It's so simple to separate this stuff from the beginning." "By the end of the year, we think we will have it dialed up to maximum production," he said. Expired milk, cheese, eggs, canned goods, produce, grease, meat scraps — just about any food-based material — is fed into a machine called the Tiger, which is owned by A1 Organics. This machine separates the food scraps from containers, cans and bottles and combines the foods into substrate. That soupy substance is then pumped into a pipe and sent to six large bioreactor tanks located nearby, where it is combined with truckloads of "clean" dairy cow manure free from dirt and grass. About 1,100 tons of manure and feedstock is fed into the digester every day. 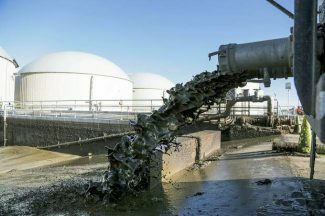 Once combined in tanks, known as the anaerobic digester, the mixture ferments and produces methane gas under the watchful eye of engineers who monitor the "recipe" of sugars, fatty acids, proteins and carbohydrates to ensure maximum gas production. More than 1 million BTUs of natural gas are produced every day. The gas is then reconditioned and pumped into a high-pressure 30-inch pipeline, where it can be drawn for use by communities and industry via an off-take agreement. She said when methane is captured via anaerobic digestion and used for energy generation, there are many benefits to air quality, including reduced greenhouse gas emissions. Sharvelle said in an email "water quality benefits also are achieved because water is contained and treated via anaerobic digestion." Sharvelle added, "There are really no environmental drawbacks to AD as long as solid and liquid end products are put to beneficial use. "My understanding is that it is a key goal for the Heartland project to find beneficial uses for these products, e.g. solid products can be used as soil amendments and the liquid can be used as irrigation water." Anaerobic digestion projects aren't a new concept. European countries have been refining such technology for more than three decades. But the United States has only more recently come aboard because of volatile prices in the oil and natural gas markets. Sharvelle said, "Economics for AD are better in Europe. 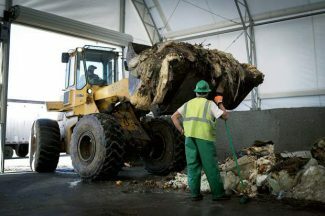 This is a result of high energy prices and limited space for waste disposal, resulting in high tipping fees." Although highly regulated by the state and federal government, Yost said Heartland has been well-received in the county and in Colorado. "There are communities that would die to have what we have here," he said. "When we permitted (the project), it was pretty exciting," said Barbara Kirkmeyer, Weld County commissioner, who called Heartland "phenomenal for Weld County." Heartland's success is just one of the reasons commissioners are looking to expand Weld 49 to four lanes, making it more of a transportation corridor for agriculture and energy businesses in the area. 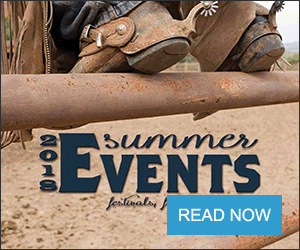 "(Heartland) is another example where we will be leading the energy industry in Colorado," she said. "This positions Weld County as an energy economy," he said, adding that he appreciates the synergy between area businesses participating in the project. 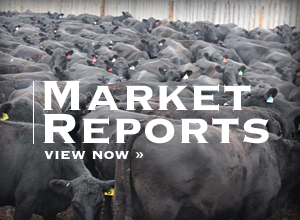 For example, local dairy farms provide milk to Leprino Foods of Greeley, which sends its expired cheese and other products to the Heartland site to be transformed into natural gas and peat moss. Dairy farms also provide the manure. "It's really been such an innovative way to get another form of renewable energy," he said.